To commemorate Sony’s release of Venom in theaters this weekend, Mondo has released a killer new set of Spider-Man Portrait Enamel Pins by Tom Whalen! 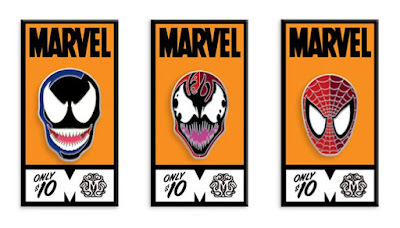 This new set of Marvel enamel pins features comic book versions of Venom, Carnage and a Todd McFarlane version of Spider-Man all in Whalen’s signature art style. 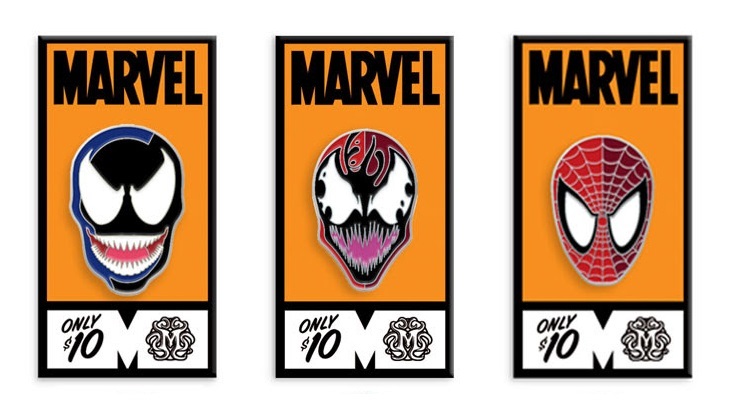 These Venom soft enamel pins will go on sale at a random time today, Friday, October 5th, at the Mondo online store for $10 each.